Marine biologist, Alexander Semenov, works at the White Sea Biological Station (WSBS) in northwest Russia and has posted over 900 photos of the undersea life around the station. 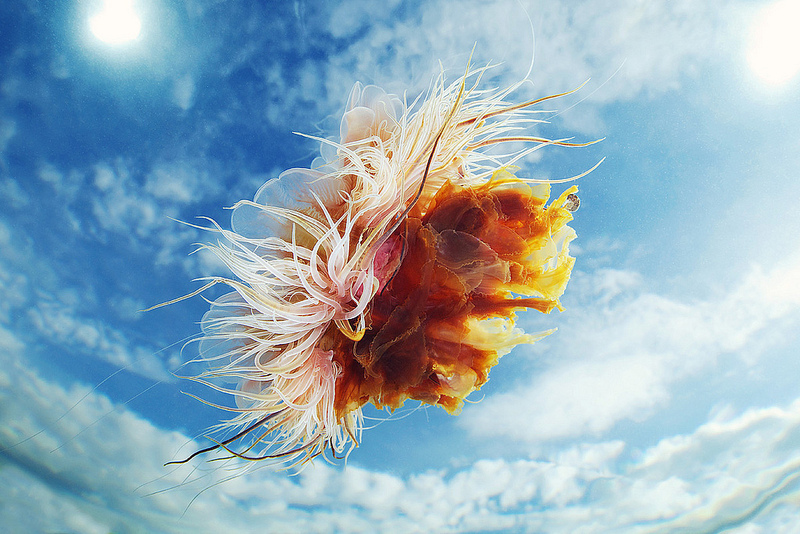 The most captivating are of Cyanea capillata, or the hair jellyfish. Semenov changes his shooting angle to set the creatures against a backdrop that makes them seem like they’re aloft in the sky. Have a look at some of his images of Cynea in the sky after the jump. It’s not the first time that we’ve posted about the Alexander Semenov. The marine biologist works at the White Sea Biological Station (WSBS) in northwest Russia and photographs the most wonderful undersea animals as part of his job. After four years at WSBS, Semenov is now the chief dive master and a camera is always on hand when he journeys into the depths of the White Sea. When I first began to experiment with sea life photography I tried shooting small invertebrates for fun with my own old camera and without any professional lights or lenses. I collected the invertebrates underwater and then I shot them in the lab. After two or three months of failure after failure, I ended up with a few good pictures, which inspired me to buy a semi-professional camera complete with underwater housing and strobes. I’ve spent the following field season trying to shoot the same creatures, but this time in their environment. It was much more difficult, and I spent another two months without any significant results. But when you’re working at something every day, you inevitably get a lot of experience. Now after four years of practice I get a few good shots almost every time I dive. There are over 1500 known species of jellyfish in the world and Semenov has photographed quite a few, especially the Cyanea genus of stinging jellyfish. 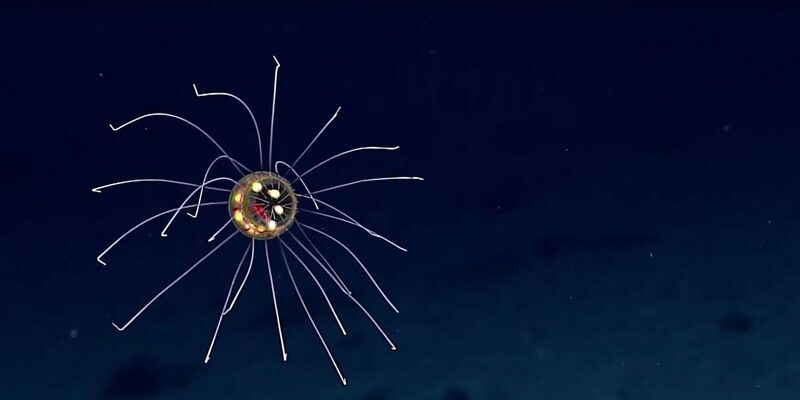 After the jump you will find some of the striking deep sea jellies that Semenov has encountered, more specifically photos of Cyanea capillata, the lion’s mane jellyfish. Alexander Semenov is a marine biologist stationed at the White Sea Biological Station (WSBS), a remote research centre that is located on the Karelsky Coast in northwest Russia. Semenov is part of the dive team at WSBS and during his excursions, takes close-up shots of the truly beautiful and bizarre fauna lurking in the depth of the White Sea. Have a look at some of Semenov’s amazing undersea photography after the jump.